Help needed for 2019 show season! Please e-mail deltaridingclub@gmail.com to volunteer. Are you on our mailing list? e-mails kept to a minimum, just heads up about important things, occasionally announcing winners, letting you know the latest and greatest. If you are not on our mailing list, send me a message at deltaridingclub@gmail.com and I’ll add you! It’s almost time to start off the 2019 Show Season. Get your memberships in, polish up the pony, and come out to have some fun with us! 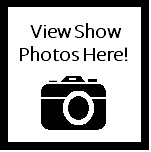 The show program and entry forms are now up on the “Shows” tab. This is a quick overview. More detailed information, rules, entry forms, and show programs can be found on the “Shows” tab. We love to see new faces! If you’re new to showing and not sure about the entry and show process, feel free to send us an email, give us a call, or pop in at a show; we would be more than happy to help you out! % Days are our dressage shows. Western Dressage riders are welcome! Format is test-of-choice from HCBC, EC, or Eventing tests for traditional dressage, and HCBC and WDAC for Western Dressage. Tidy schooling attire and boots/bandages are permitted. Entries must be received no later than 7 days prior to the show using our online form or hand-delivered. For more details please see the “shows” page. High Point Awards are given for both traditional and Western divisions. 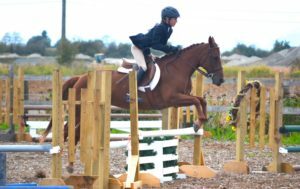 Our Hunter Shows offer classes ranging from trot poles up to 2’9″. Each height division offers four classes: A Hunter Under Saddle class (no jumps) held in the main ring, then a warm up round over the jump course which is not judged followed by a Hunter round (judged on the horse’s way of going) and an Equitation round (judged on the rider). The general rule at Hunter shows is that the same horse/rider combination may ride at any two consecutive heights. Those wishing to enter lower classes for schooling opportunities or try a few higher classes after competing in two divisions may do so hors concours, that is, un-judged. High Point Awards are given for each division. Our English/Western Shows offer a wide selection of English and Western Classes. 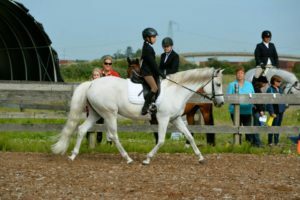 Classes are divided into the following divisions, each of which is awarded a High Point Award at the end of their division: Junior (13 years and Under), Intermediate (14-18 years), Senior (19+), Open (open to all ages, excluding Walk-Trot), and Walk-Trot (open to all ages, to be shown at a walk and trot only and not eligible to show in any age division or open classes.) Western Walk-Jog (same rules as English) and Western Open. We do offer “Novice” classes which are open to ALL riders (including walk-trot and walk-jog entries) for those riders who are new to showing, riding an inexperienced horse, or walk-trot riders who (with their coach’s blessing…) would like to give the canter classes a try. NEW! Driving classes will be offered at the September English/Western show after the western division has finished. TURNOUT 1. A pleasure driving class in which entries are judged primarily on the performance and quality of each turnout. 2. 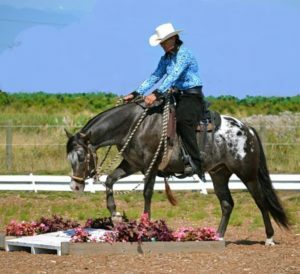 To be shown both ways of the arena at a walk, slow trot, working trot, and strong trot. To stand quietly and to rein back. 3. To be judged: •70% on the condition, fit and appropriateness of harness and vehicle, spares and appointments, neatness and appropriateness of attire and overall impression. •30% on performance, manners and way of going. Our Summer Classic Show offers a full Hunter program and English/Western/Driving program (without the Novice classes). The Summer Classic offers fantastic high point awards and a $10 Bucks Back card goes to each 1st place winner all day long! Year End Awards are presented to Members who have qualified by placing in the eligible class 2 or more times during the season. With the exception of Novice Classes, a Year End Award is available for every class on the show program! We also have Aggregate awards for: Hunter, Dressage, Western Dressage, Junior, Intermediate, Senior, Over-All English, Over-All Western, Trail, Equitation, Showmanship, Buster Bojo Brown Versatility Award, and Over-All Aggregate. Details on these awards and how to qualify can be found on our “Year End Awards” page. Do you know a deserving someone for any of these? We need your nominations- see the Year End Awards page for details. The Delta Riding Club celebrated it’s 70th year of operation in 2018! Still operating under its original Constitution, signed on April 21, 1948, its charter members represented families of the local farming community including Albert Huff, Hugh Reynolds, Ken Davie and RB Coleman. Today, the club still has strong ties to agriculture and with support from the Delta Agricultural Society, continues to foster family participation at all its events. Our shows provide a competitive atmosphere for novice and seasoned exhibitors alike; new members are welcome. Everyone is welcome to show at Delta Riding Club, DRC Members receive discounted show rates and are eligible to win Year And Awards.